Built with our patented “Center Locking System”… Features .020” blades and a 1 1/16th inch cutting dia. 3 pack assembled or 6 pack. #1:The matching bevels at the top of the ferrule and inside the edge of the tip create a “clamping” action when the tip is tightened. The tip, blades and ferrule are forced together so tightly they perform much like solid metal. #2: The blades (gold areas show how parts mate when assembled) are “L”-shaped for unmatched strength and the base of the “L” is curved to lay perfectly against the round shaft of the tip. Metal to metal contact top to bottom! #3: The heart of the Center Locking System™ is the Tip. By extending it throughout the length of the broadhead body, Innerloc can thread the tip into the base.This is the strongest area of the entire broadhead and securing the tip at this point transfers a walloping amount of arrow energy on impact! 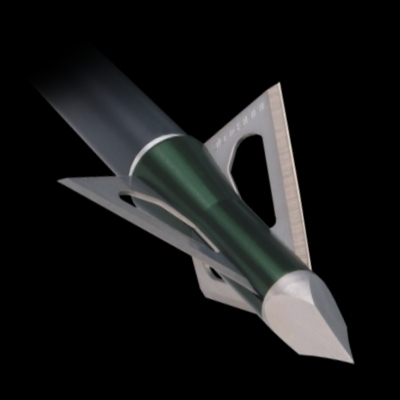 “Sharp Beyond” All Innerloc® fixed blade broadheads feature Endur-Edge™. A special manufacturing and tempering process on the highest quality stainless steels that yields an ultra durable blade edge. 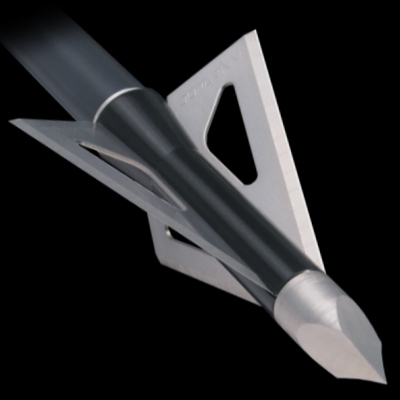 This keeps the broadhead sharp as it passes through it’s target, causing better blood trails. Everyone knows the importance of sharp broadhead blades. But a sharp blade that won’t hold it’s edge is no more effective then a dull blade. Endur-Edge™ blades stay keen after they punch through hair and hide to slice the vitals effortlessly causing the immense blood trails and quick bleed-outs that Innerloc® is famous for. Slide the triangle shape of the supplied wrench over the point of the tip. Carefully loosen the tip. The tip can now be turned counter clockwise to disengage the threads. Slide the tip out of the front of the body. Note the way the blades wrap around to create room for the tip to slide in and out. One at a time slide the blades out of the front of the body. See the way the blades “L” shaped flange is located within the hole of the body. You can now install new sharp blades by following the steps above in reverse order. 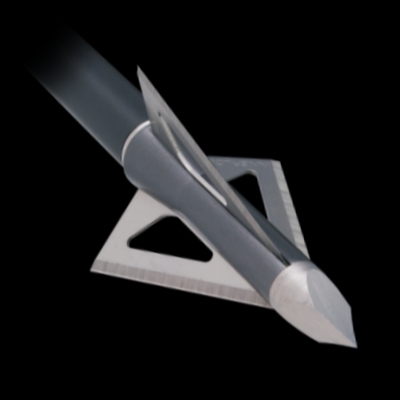 ” IMPORTANT TIP” With Innerlocs’® front loading design and Center Locking System™ you can change the blades without removing the broadhead body from the arrow. 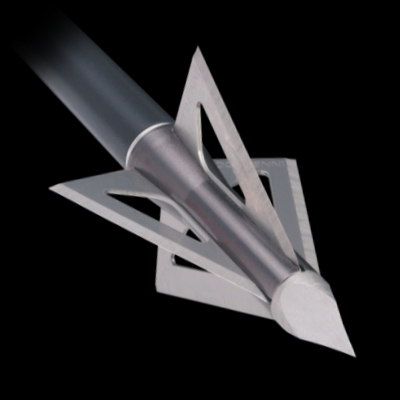 This means you won’t de-tune the broadhead to arrow union assuring continued accurate flight with the new blades.